Best known as a great actor and for his extensive charitable work, Paul Newman was also the Newman in Newman/Haas Racing. The team he co-owned had extensive success at the track, although they came close but never won the big race at Indianapolis, I think they won one out of every three races at Portland. 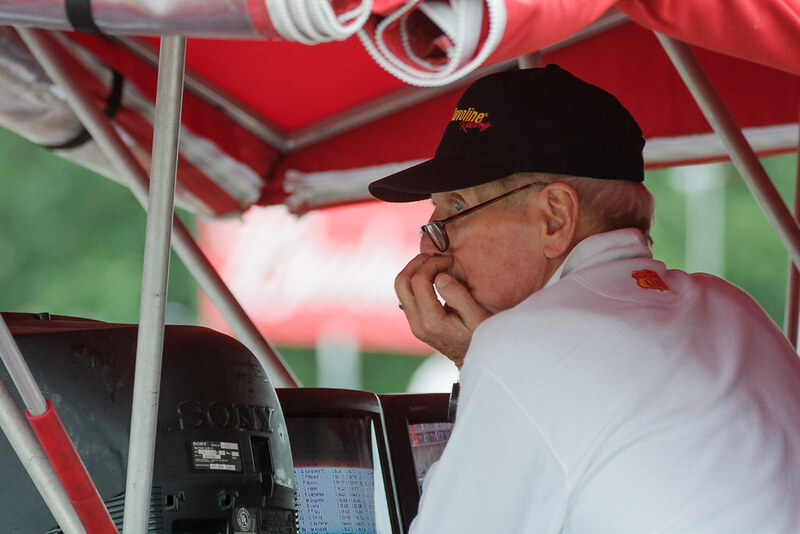 Here, Paul watches from the pits during Saturday practice for the 2001 CART race in Portland. This entry was posted in Sports and tagged CART, IndyCar, Newman/Haas Racing, Oregon, Paul Newman, Portland, Portland International Raceway, racing. Bookmark the permalink.